Insulin is one of our most important hormones. It coordinates the action of cells throughout the body, making sure that they are managing the uptake, use, and storage of blood sugar correctly. When there are problems with insulin signaling, it leads to diabetes, a life-threatening illness. 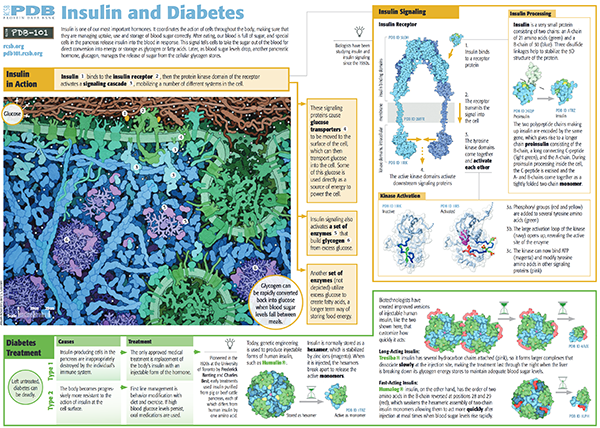 The Insulin and Diabetes poster illustrates how structural biology has revealed the details of insulin signaling and how this knowledge is being used to create new and better treatments for diabetes. 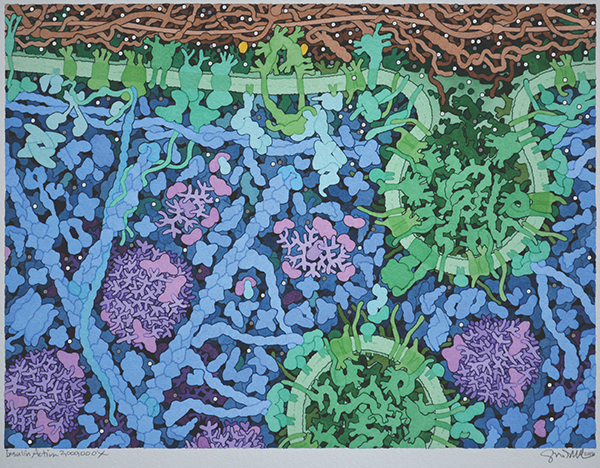 The poster is built around the watercolor painting Insulin in Action, which includes glucose (small white circles), insulin (yellow), and the insulin receptor (light green), among others. 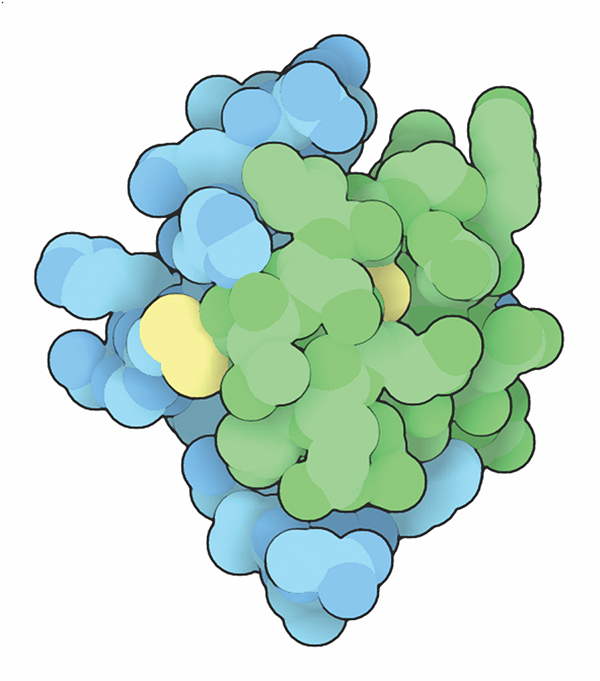 Explore more resources and articles about insulin and diabetes using the PDB-101 Browser.